Solar Advanced Warning Systems (SAWS) provides a safer ingress and egress solution to address the dangers on construction haul roads and intersection crossings. 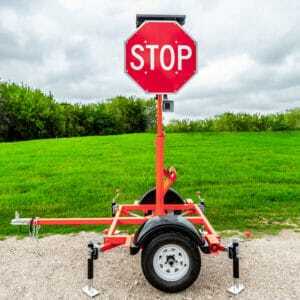 SAWS provides a complete and reliable solution that detects approaching vehicles, which triggers the system to notify dangerous entry vehicles to stop or yield. It simultaneously warns the public of entering vehicles. 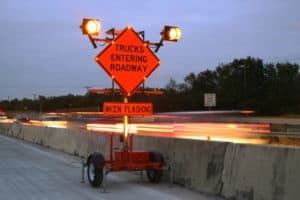 Once the approaching construction vehicle is detected the system activates an LED regulatory edge-lit sign trailer, which then communicates via radio frequency to activate an LED wig wag trailer. 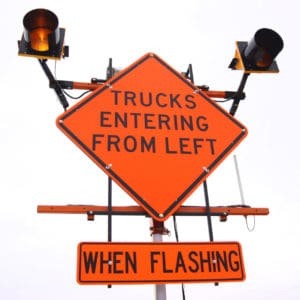 The edge-lit advanced warning sign on the main lanes warns motorists of trucks entering. 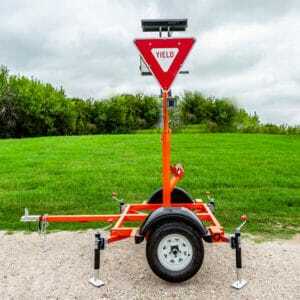 The SAWS system only flashes when needed, thus minimizing motorists becoming acclimated to its flashing lights.